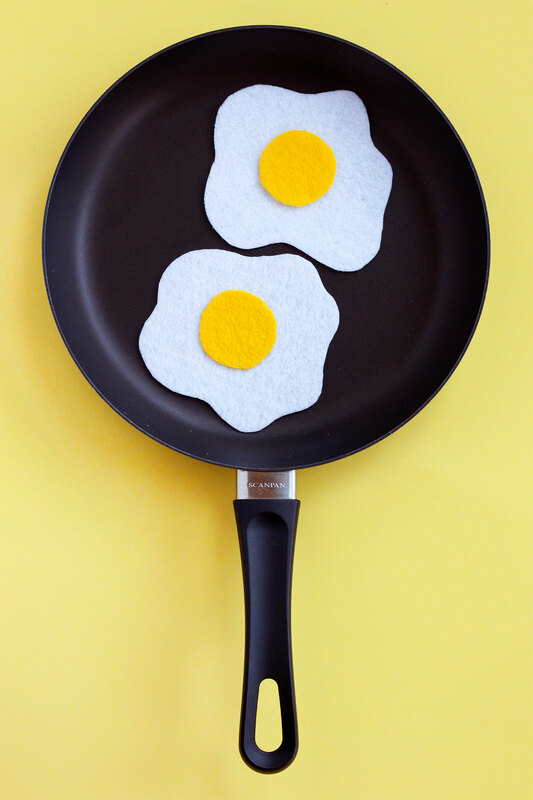 It’s been so hot in New York the past few days, you could fry an egg on the sidewalk. But don’t. That would be gross. 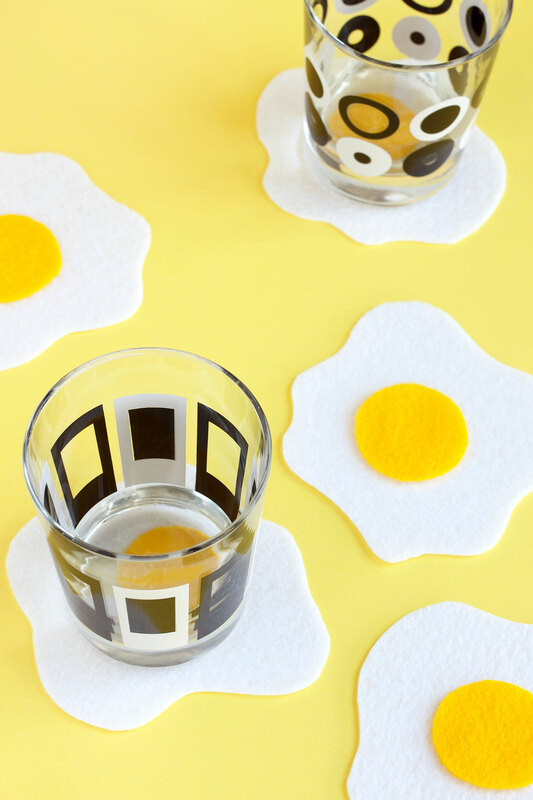 Instead make these egg-stra special sunny side up coasters! 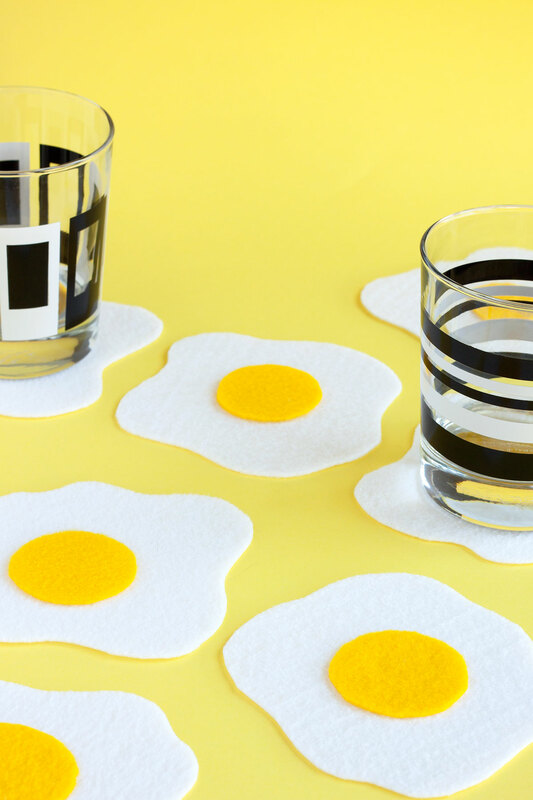 The perfect spot for a giant glass of ice water. Or beer. 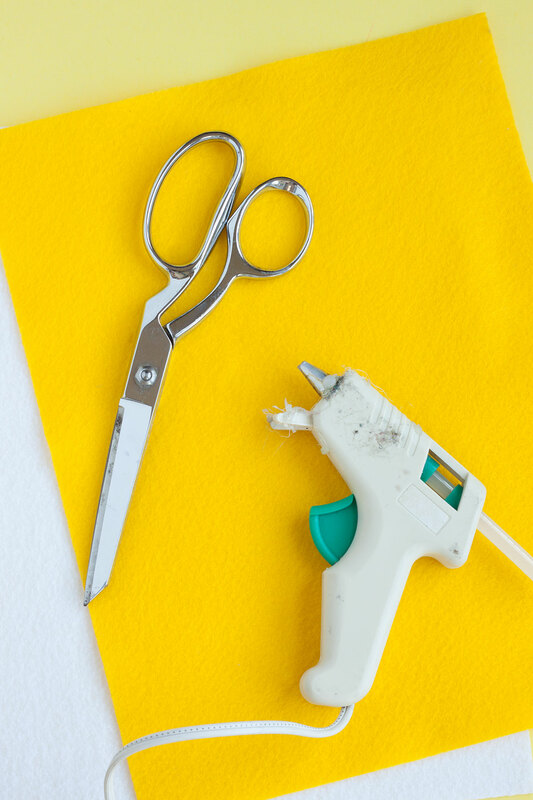 These guys take minutes to make and will keep your table safe... lookin' cute while doing it. 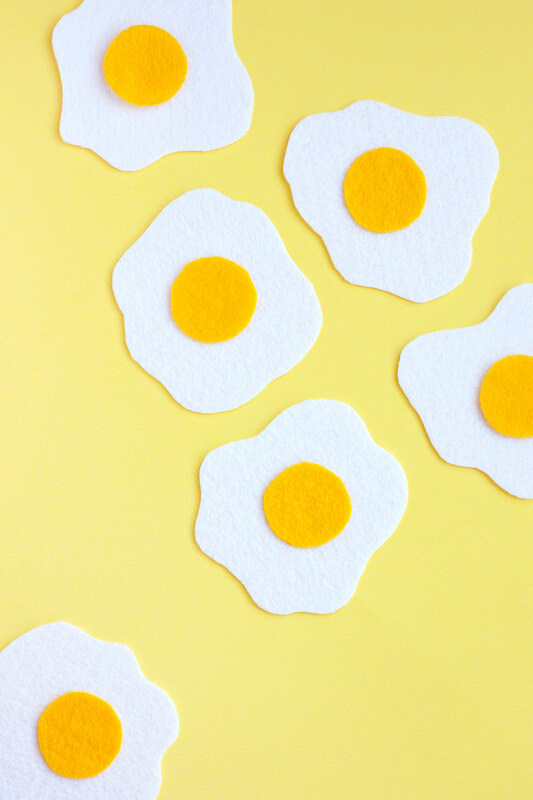 Egg-cellent! Gather Materials. 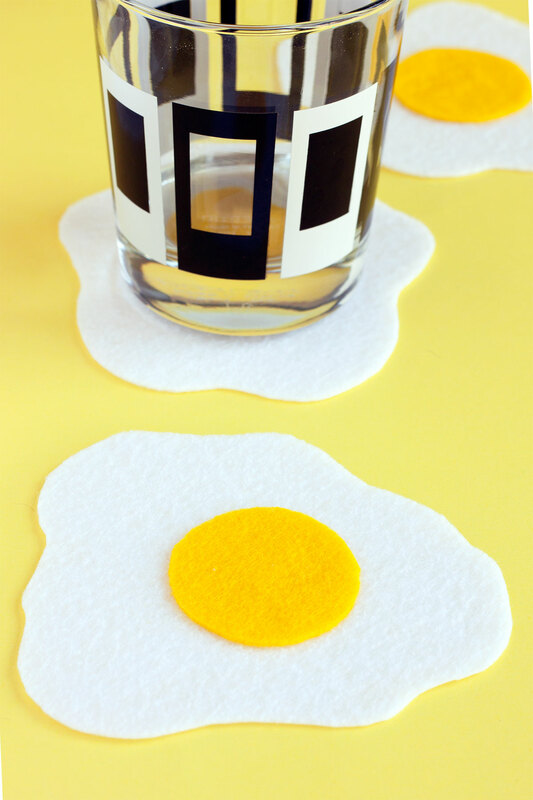 Cut out abstract egg shapes from the white felt. 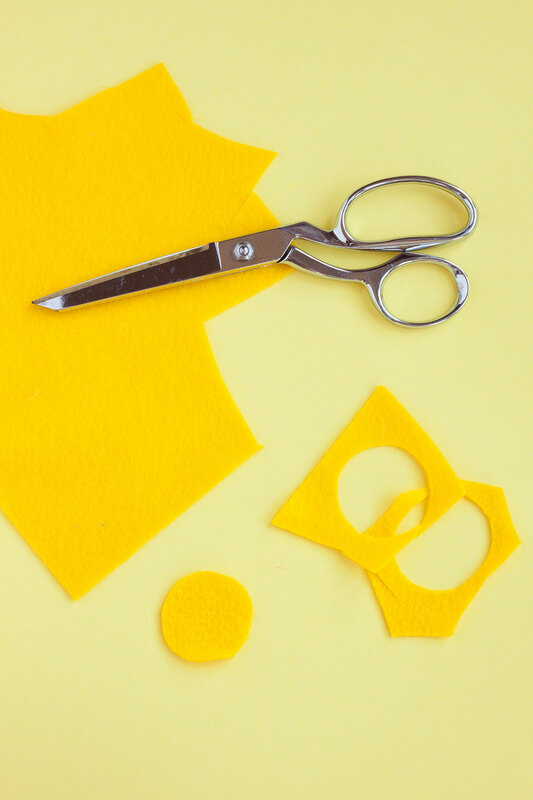 Trace something round (like a shot glass) onto your gold felt. 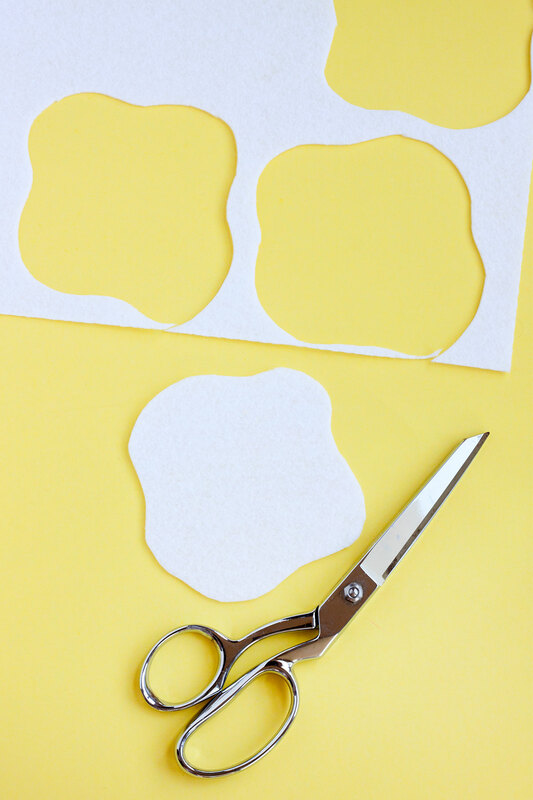 Cut out gold circles. 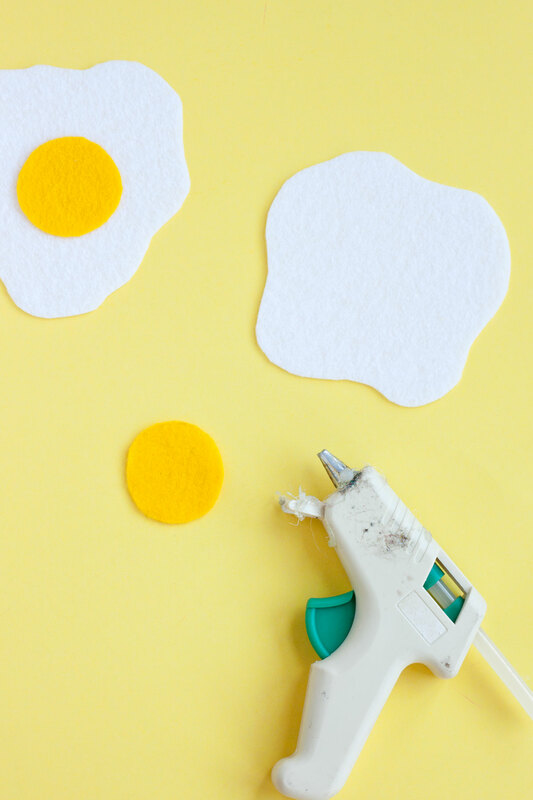 Hot glue a yolk to each egg. Enjoy!